More than ever, it’s essential to have an online presence, and a great way to do that is with a website. While there are plenty of excellent website building tools out there for those who don’t know how to code, most of them leave a lot to be desired when it comes to making your site on the go. Enter Universe Website Builder, a mobile app for iPhone that makes it easier than ever to build a website. Creating a website in Universe is an exercise in simplicity. Everything is based on simple building blocks. Universe gives users a three-, four- or five-block wide grid where users can add content. From GIFs to text, links, contact buttons, subscription options, Shopify, maps and more, there’s plenty to add. Plus, it’s easy to lay out your website with simple drag-and-drop mechanics. 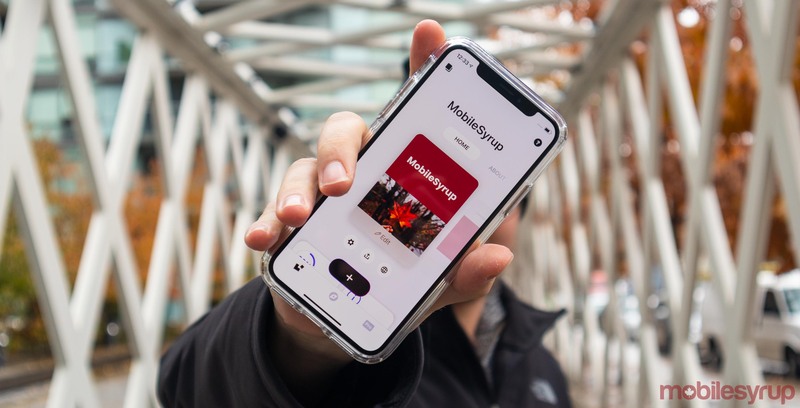 Once you’ve let your creative side loose and designed the freshest new website, you can easily share them in the app’s built-in feed. 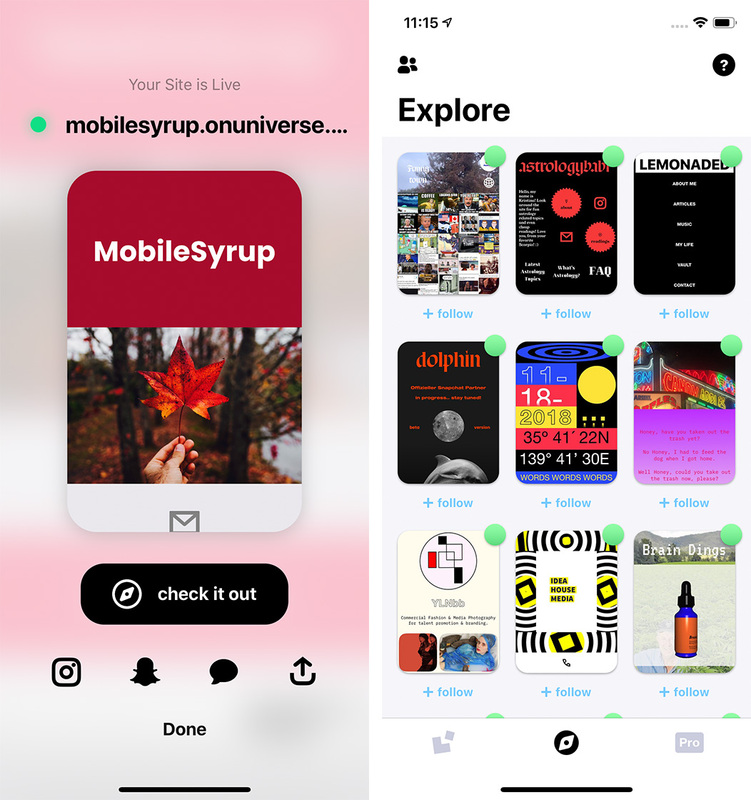 Dubbed ‘Explore,’ users can scroll through an Instagram-like feed of websites designed in Universe. If you’re looking for inspiration, it’s a great place to go. Universe also features a unique way to layout the pages on your website. 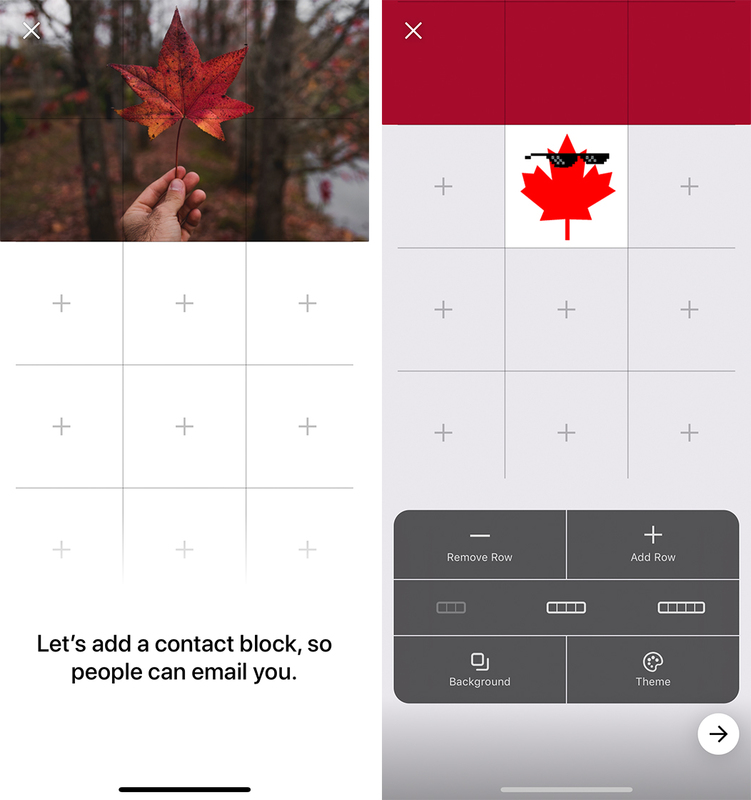 For example, when creating the homepage, you can add sections that you can flip through by swiping right. Users can add extra pages, called ‘Tabs,’ that are accessible via a menu at the top of left of the website. Further, Universe gives you easy access to statistics like pageviews, subscriber numbers and more. While Universe offers a lot of features for free, there’s a lot tucked away in the ‘Pro’ offerings. Universe Pro lets you set custom domain names, add a store to your webpage and create a custom email address. Users can also set up a simple way to accept payments through Paypal and Square cash. Finally, the Pro option also allows users to hide the Universe branding and see more detailed site analytics. You can try Universe Pro for seven days before you buy. If you decide to pay, it’s $12.99 a month or $102.99 for a year. 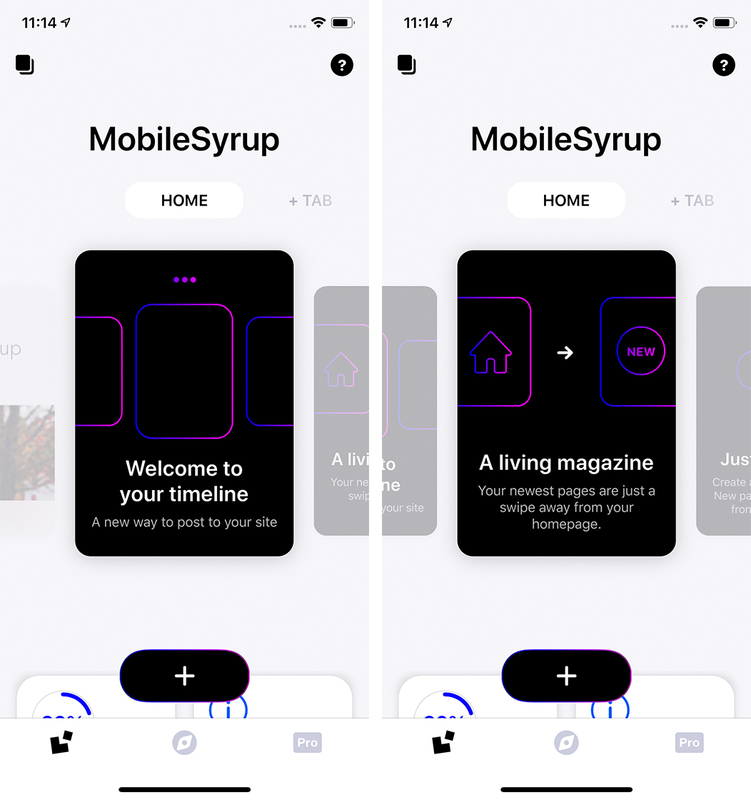 Ultimately, if you’re looking for an easy way to create a website from your iPhone, Universe Website Builder is a great option to put together a quick, unique site. 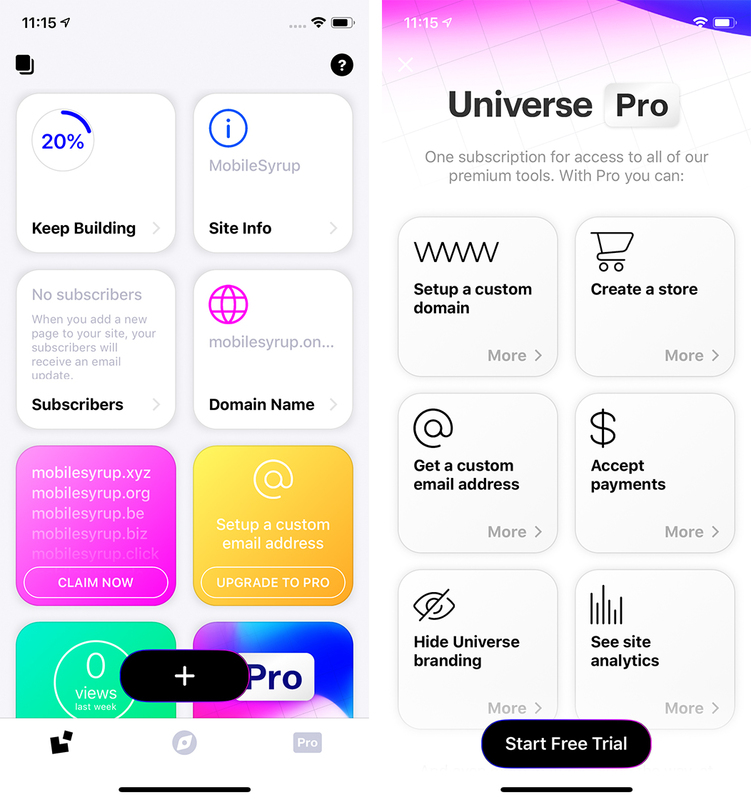 You can get Universe Website Builder from the App Store for free.